How often do you think about your sidebar? Probably not often. The sidebar is one of the most overlooked elements of a website, and itâ€™s also one of the most important. You may not think twice about sidebars, but they help users navigate your site. They can also make your site look nice and streamlined or clunky and unsightly. In short, they can make or break someoneâ€™s opinion of your site. Keep it minimal. Long sidebars look unwieldy and weigh down the page. No one wants to scroll through a sidebar thatâ€™s the length of the page! By trimming down your sidebar to the essentials, youâ€™ll have a much better looking and functioning page. Include the essentials. You want to trim down your sidebar to the essentials, but whatâ€™s essential? There are no hard and fast rules, but generally, itâ€™s good to include a short bio, a search bar, and contact information. Accomplish your goals. The sidebar is prime real estate that helps you accomplish your goals. Is your aim to get the reader to join your email list? Use a signup form widget. Do you want the reader to be able to donate to you through PayPal? Throw a donation button at the top of your sidebar. Connect with readers. 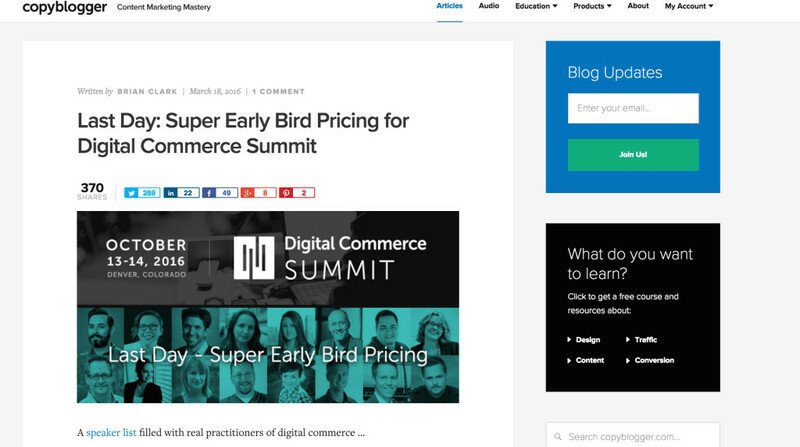 Sidebars provide an ideal way to concisely communicate your siteâ€™s mission to the reader. You can use a short bio to tell the reader what you do, and you can include your contact information (social media network profiles, email, etc.) so readers can instantly connect with you. As a WordPress user, you have a lot of customization options for your sidebar. Theyâ€™re incredibly easy to do, and in no time, you can have a fully optimized sidebar. Before you start, take a screenshot of your sidebar. Youâ€™ll use it for comparison after youâ€™re done. Now youâ€™re ready to begin! 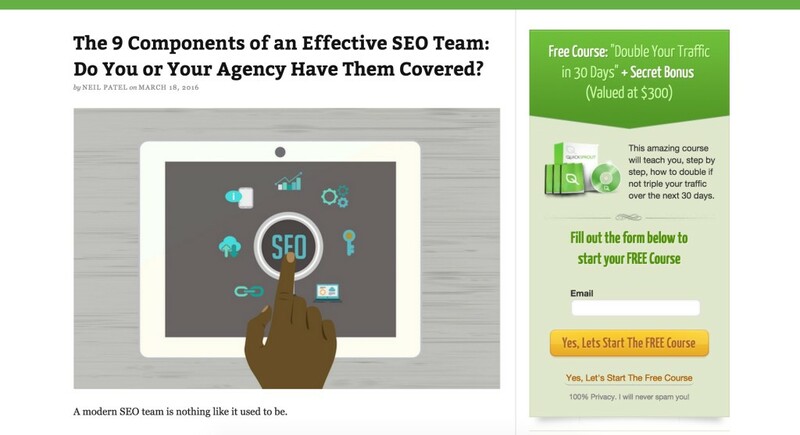 Quick Sprout uses their sidebar to place an eye-catching opt-in form. Copyblogger optimizes their sidebar with an opt-in form and a section for readers to choose relevant topics. Most sidebars are set up to automatically display certain elements, like the Meta or Archives widgets. 99% of the time, you wonâ€™t need all of these elements. Thankfully, you can quickly and painlessly remove the widgets you donâ€™t need. Itâ€™s a simple fix but one thatâ€™s easy to miss. In your Dashboard, navigate to Appearance and then Widgets. Youâ€™ll see a list of all the widgets that are currently displayed in your sidebar. To delete a widget, click on it to show the drop-down menu and select â€œDelete.â€� And thatâ€™s it! This is one of the most important steps to take in order to make your sidebar truly stand out. Think about what you want your sidebar to look like. Want your Twitter feed to show up? The Twitter timeline widget (available through Jetpack) is for you. Need to display your professional headshot? Try the super easy Image Widget. This step will take the longest, but itâ€™s crucial. The best place to look is in the WordPress plugin directory, which offers up a smorgasbord of widgets. Many plugins include widgets in the package, and often, you may not even know it. For example, the MailChimp for WordPress plugin includes a widget so you can place an email signup form in your sidebar. Jetpack also includes several handy widgets. Your widget list (Appearance > Widgets) will show you the full list of all widgets you have available to use, and this includes widgets that came prepackaged with plugins. If youâ€™re wondering whether or not a specific plugin has an accompanying widget, you can check the pluginâ€™s info in the plugin directory. Even though we have some fancy widgets now, we canâ€™t forget about these basic ones. WordPress provides you with a host of useful default widgets. While these widgets may not seem like much at first, they can be powerful when used in combination with your downloaded widgets. For example, you can use the text widget combined with the Image Widget to show your headshot with an accompanying bio. Or you can create a specific menu and show that menu in the sidebar with the Custom Menu widget. The skyâ€™s the limit here – there are endless combinations, so mess around with it and see what works for you. Buttons are great for linking readers to another place on your site or another site entirely. You can use it to direct readers to a landing/squeeze page, or you could link it to your online shop. Whatever you define as the buttonâ€™s value is what the button text will say. And, of course, replace â€œhttps://www.example.comâ€� with a link of your choice. And there you have it in just ten minutes, youâ€™ve given your sidebar a complete makeover. Compare it to the screenshot you took. Doesnâ€™t that look better? Bonus Tip #1: Want More Control? Use a Sidebar Plugin. Sometimes, your themeâ€™s sidebar just wonâ€™t cut it. Maybe you want a different look or more flexible features. There are many more to choose from, so if youâ€™re after a particular feature, chances are youâ€™ll find it. Bonus Tip #2: Want Advanced Control? Define Your Own Widgets. If you want even more control over your sidebar, check out our article on defining your own widgets. It walks you through creating static (no code required) and dynamic widgets (code required) for your sidebar.